Real Estate In Kansas City. Top Agents at The Scottie Broderick Team Exceed Expectations! It's funny how trends like popular stores can a have measurable impact on local housing markets. 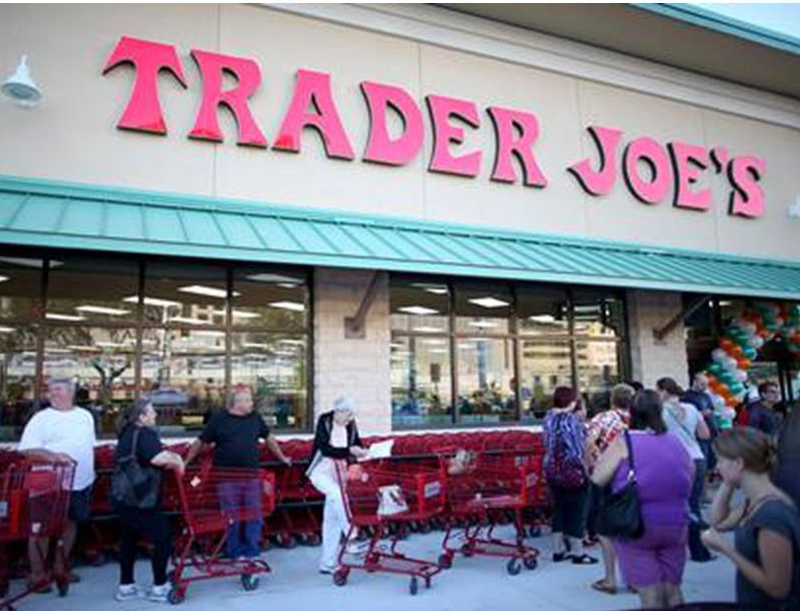 Right now, it's beneficial to live next to a Trader Joe's or a Whole Foods! To get an idea of your home's value with an instant property report CLICK HERE. Joe Raedle/Getty ImagesShoppers lineup as they wait for the grand opening of a Trader Joe's on October 18, 2013 in Pinecrest, Florida. A lot of factors can impact the value of a home. Schools, parks, and even public transportation can all impact a neighborhood's average house price. And according to analysis by Zillow, an online real estate marketplace, one of the increasingly important factors is the presence of a high-end grocery store. "Zillow found that homes grow more rapidly in value if they are closer to a Trader Joe's or Whole Foods," the company said in a release. "Between 1997 and 2014, homes near the two grocery chains were consistently worth more than the median U.S. home. By the end of 2014, homes within a mile of either store were worth more than twice as much as the median home in the rest of the country." The analysis is included in the new edition of Zillow CEO Spencer Rascoff and Zillow Group Chief Economist Stan Humphries' book Zillow Talk. In the release, Humphries offered an explanation for the phenomenon. "Like a self-fulfilling prophecy, the stores may actually drive home prices," Humphries said. "Even if they open in neighborhoods where home prices have lagged those in the wider city, they start to outperform the city overall once the stores arrive." For example, the analysis found that 2 years after a new Trader Joe's opened home values within one mile went up by 10 percentage points more than homes in the rest of the city. "It says something about the way people want to live – in the type of neighborhood favored by the generations buying homes now," Rascoff said. "Today's homebuyers seek things in neighborhoods that weren't even in real estate agents' vocabularies a generation ago: walkability, community, new urbanism – and maybe we should add words like sustainable seafood and organic pears." Foreclosure Inventory Hits Lowest Mark in Years! With homes in foreclosure hitting their lowest mark in 7 years, the confidence in home-ownership should be even more evident. These stats also mean that a "low-ball offer" doesn't hold nearly as much weight. We continue to need inventory in Kansas City so please tell your friends and family that NOW is the time to consider moving up, moving down, or just moving! Get an instant home value report HERE. 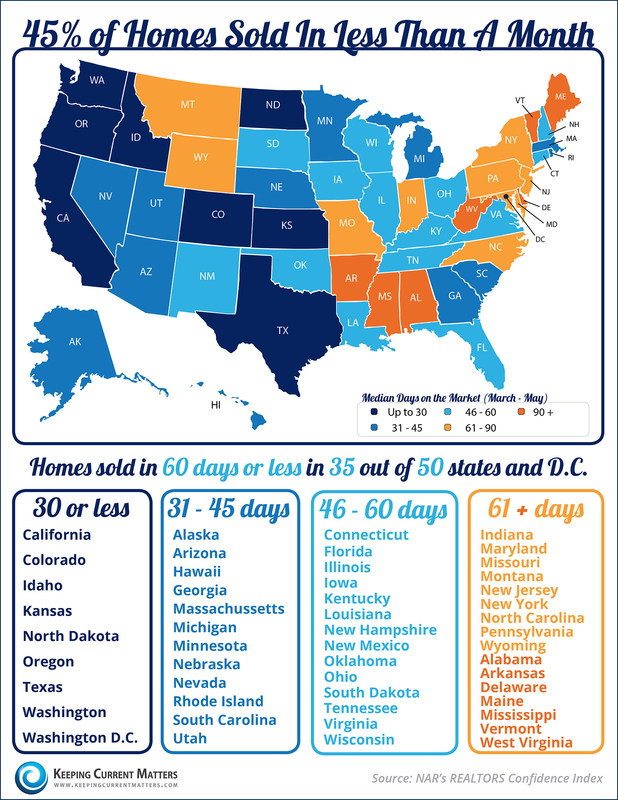 Kansas is in the quickest selling category whereas Missouri is in the slowest selling category...in both cases we are still looking at well under a three month average to sell your home! Demand is going to stay high so we need inventory TODAY. Get an immediate home value report emailed to you HERE or contact us directly for a custom look at your home. Want to give your home a classier, more expensive look that won’t require breaking the bank? Here are 26 great ideas for your inspiration. Take a look! 1. Drab vinyl got ya down? A little paint will spruce it right up. 2. Closet doors don’t just have to hide your disaster zones. Placing some framed mirrors on them can add more purpose, and help the room feel spacier. No matter what sort of adversity or challenge you might face, you can always believe that, with hope, it can be conquered and, in the end, you will be stronger for it. Creativity doesn't wait for that perfect moment. It fashions its own perfect moments out of ordinary ones. Each year, your family might hit the slopes, head for the beach or pack up for a camping trip, but if your family vacations have lost some of their allure and you’re looking for something new, consider these vacations. Multi-generation vacation-Vacations where the extended family travels together are becoming a growing trend. Some travel agencies specialize in arranging such exciting vacations as deep-sea fishing in the Caribbean or guided- tours through Europe that are suitable for multiple generations. Lessons you and your children will learn while traveling abroad or taking a history themed trip around our country will outweigh anything that can be read in a book. Volunteer Vacation– If you’re searching for a more meaningful way to spend your time together, consider a volunteer vacation. Take an adventure; celebrate togetherness!